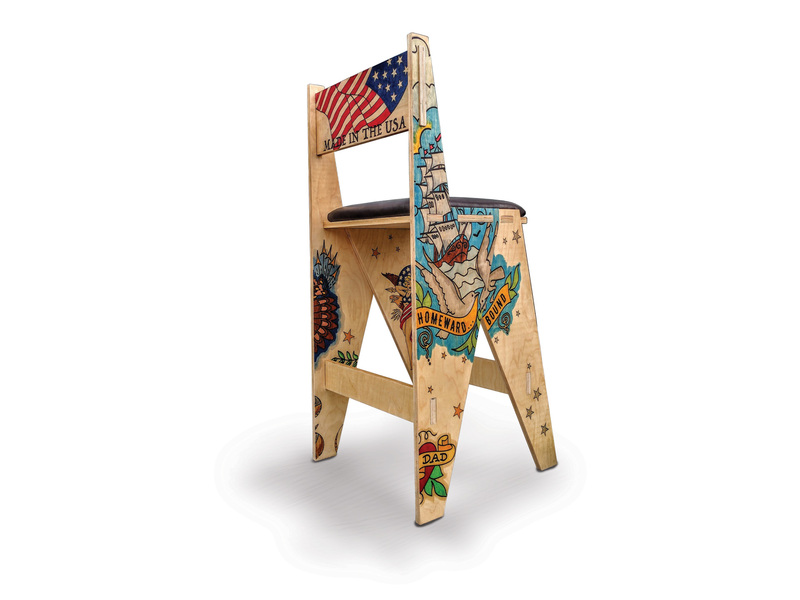 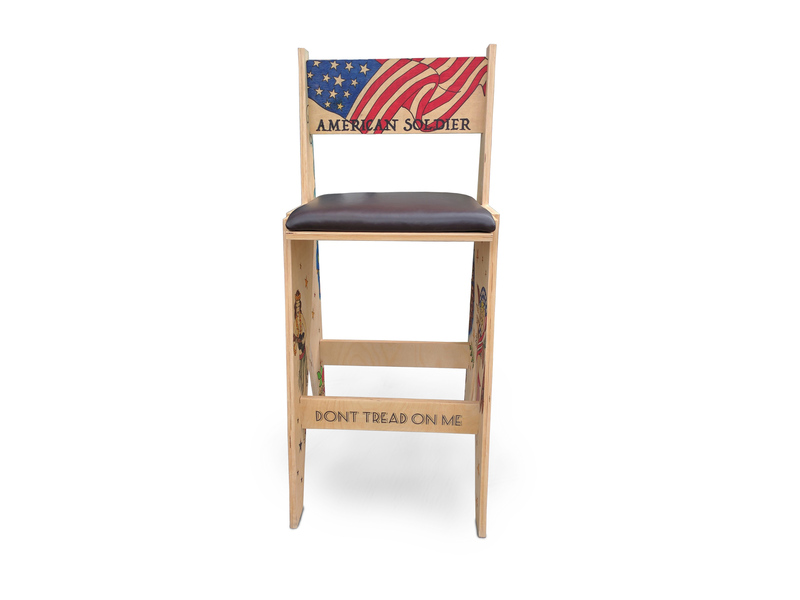 The Tattoo Chair using old-school tattoos “Sailor Jerry” style, that are rooted in the American serviceman’s interpretation of traditions and symbols, that go back thousands of years. 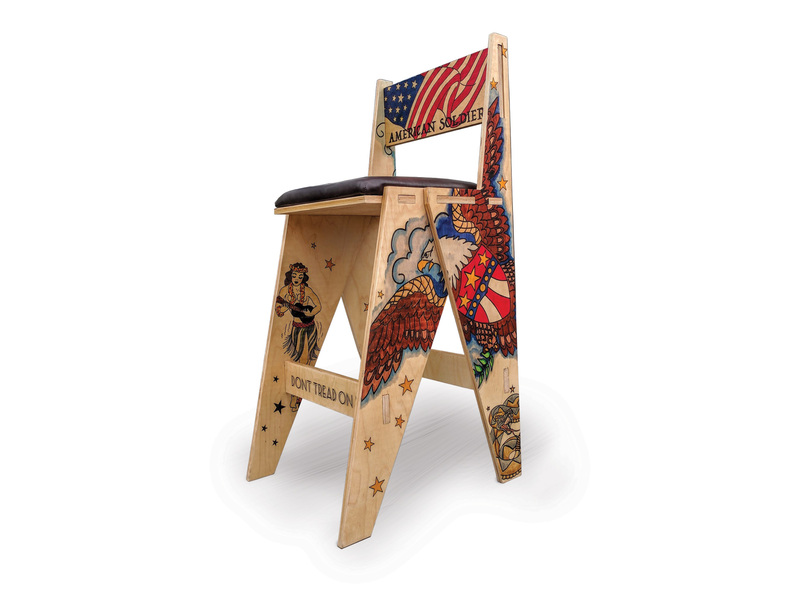 Using 3/4” Baltic Birch plywood, and constructed out of a flat pack laser cut, the bar stool is assembled without glue, bolts, or nails. 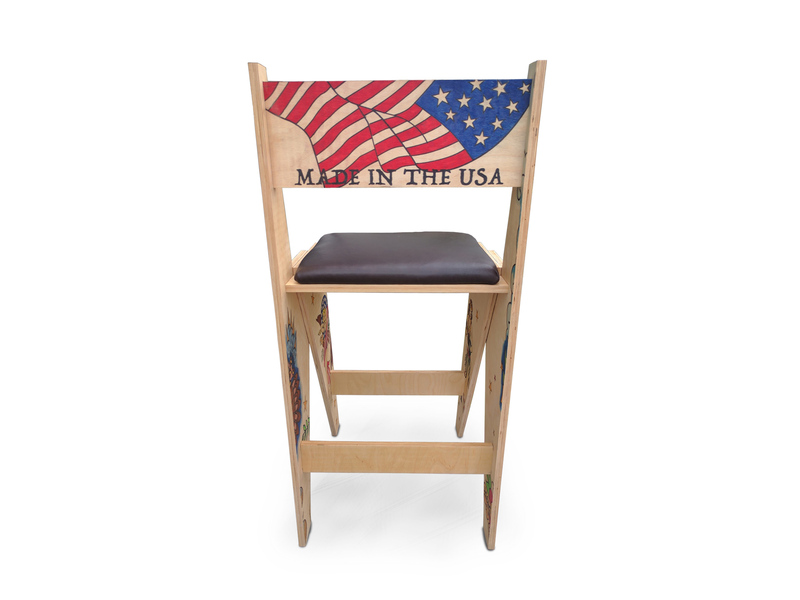 Each one is hand painted and a top grain leather seat.